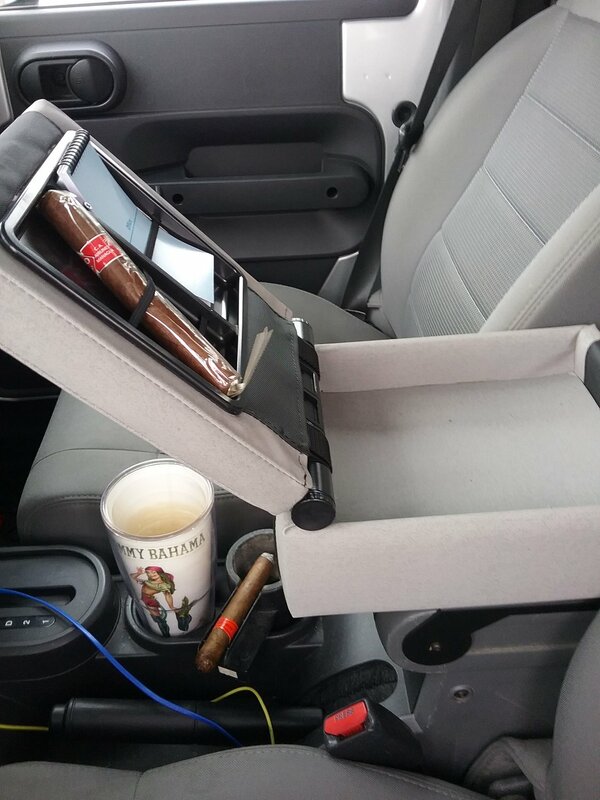 Add priceless storage and extra comfort to your factory console. 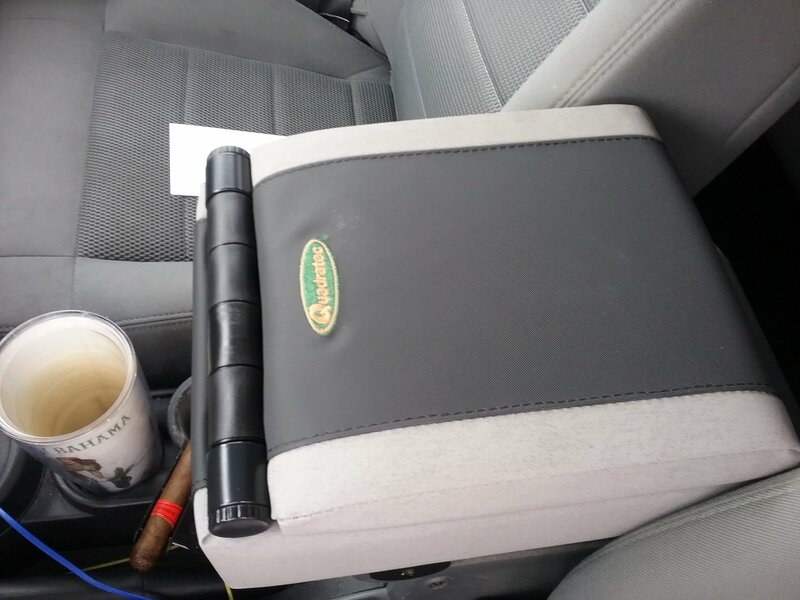 The cushioned lid flips open to reveal the 10"L x 8"W x 2"D storage compartment that's great for personal items like eyewear, candy, CDs, maps, GPS and more. 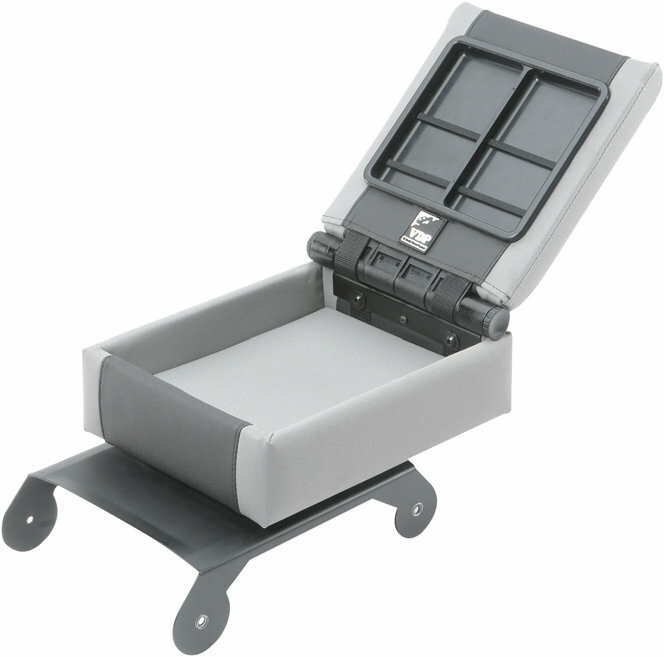 Fully padded and upholstered with grey and black automotive grade materials for lasting durability. 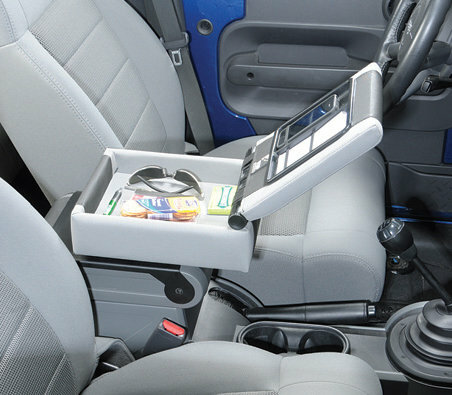 The Sliding Armrest Console Organizer slides forward 4 1/2" providing an ergonomically placed open console lid with two 5.75" x 3.25" sections for placing a note pad or your phone at your finger tips! 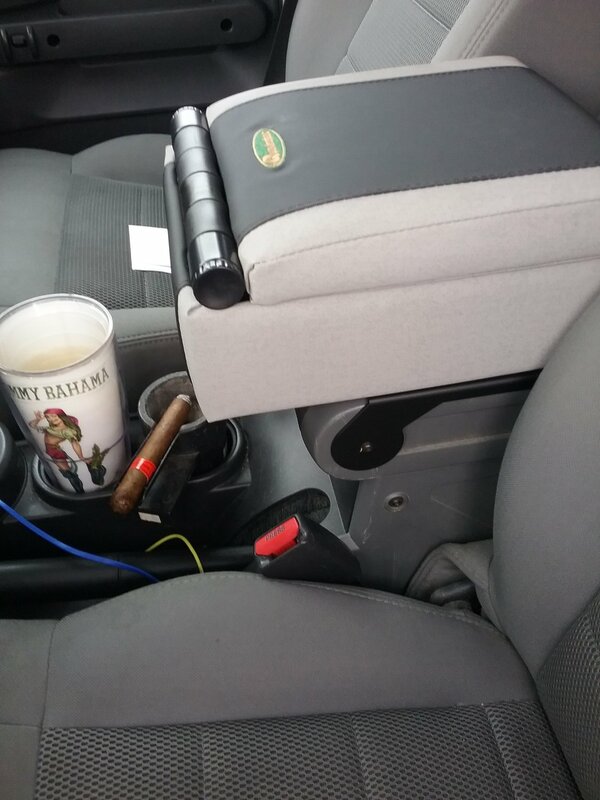 Thick steel mounting bracket attaches to the top of your factory console using existing fasteners. Installs in minutes with no modifications or drilling necessary. I like it. Easy to install. I was worried about lid opening when console was opened but that has not been a problem. My only complaint is banging my elbow into the hard plastic hinge. 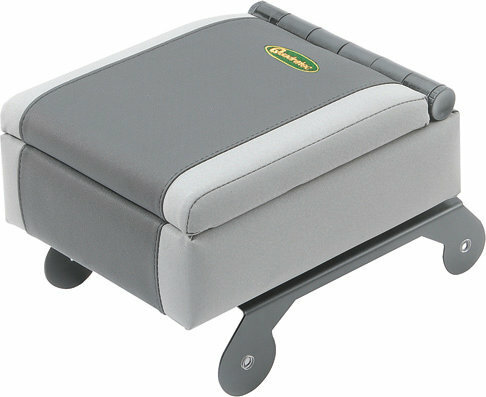 Resting my arm On the lid is perfect. When driving and move my right hand lower on steering wheel I bang my elbow into the hard hinge. 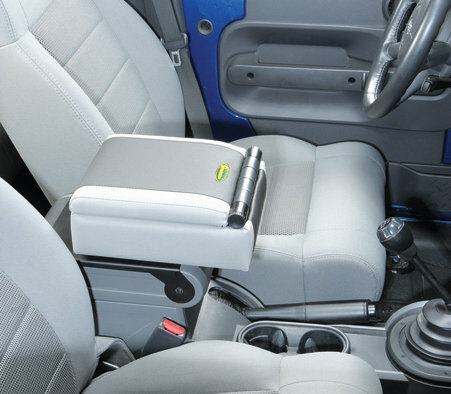 The added storage and easy access is great. Great piece. Easy to install. 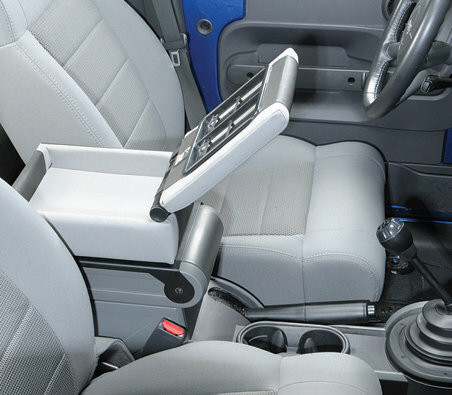 No, unfortunately the center console on the 2011 and up is a different shape.